Diane Cole Stevens received the Wella Philanthropy Award at North America Trend Vision in Los Angeles, CA. 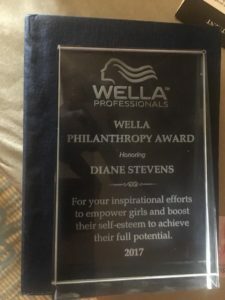 Wella Corporation honored Diane for her dedication to young girls. “I never dreamed being kind to others could make a huge impact, Diane says. 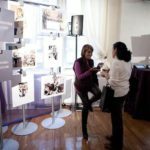 Diane is the Founder and CEO of The Cinderella Foundation, a 501(c)(3) nonprofit in the Washington, D.C. Metropolitan area. It offers girls of color opportunities to develop interpersonal and professional skills through programs in grooming, academic enrichment, and social etiquette training. The girls build a network of mentors to encourage their growth for years to come.